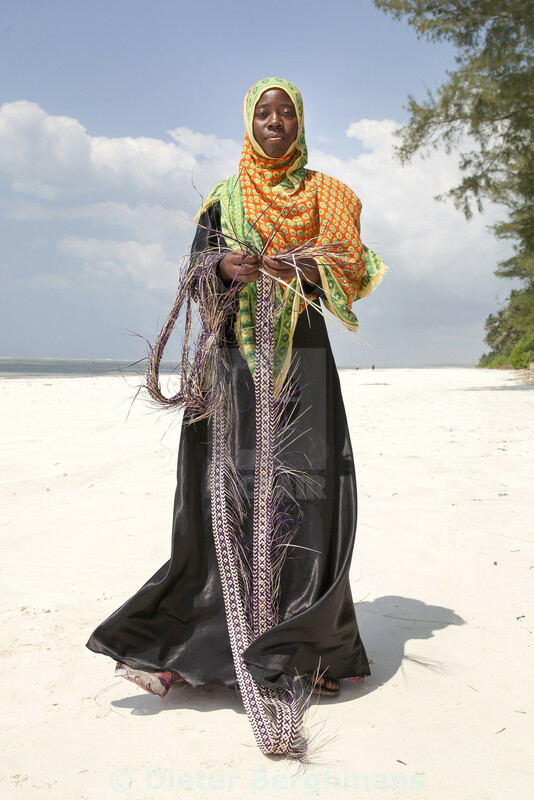 Taken in Zanzibar, Africa, while photographing for our project "Sisters of Craft". Here we met have met a group of very young Zanzibarian ladies still practicing a very old traditional way of weaving.For them it was a way of expressing themselves in a very man dominated environment and it was a way also to earn a little extra to provide for their families. But this lady, the leader of the group was just so stunning in her traditional dress, and so proud posing with the woven string that later would become a truly spectacular basket.